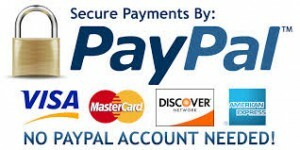 We use PayPal as our payment service provider. Please note you do NOT need to have a paypal account and you do NOT have to set one up. To purchase , click on the payment link below. After payment, please fill in the registration form by choosing a username and a password of your own choice. You can then use them to access your Online Excel Course . One year access to all Modules. Administrator access to all users. Live Chat & Email support for all users.